A man, aged in his 40s, has died after two airport vehicles crashed on the airfield at Heathrow, Scotland Yard said. Snow and windy weather has led to the cancellation of around 80 flights at London's Heathrow Airport. A spokesperson said: "The latest forecast is for snow this afternoon, which will reduce the number of aircraft able to take off and land each hour." For the latest flight information at Heathrow click here. 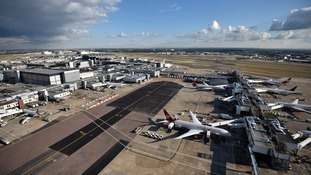 A Heathrow Airport baggage handler is among five men to be charged after police smashed a suspected drugs smuggling ring. 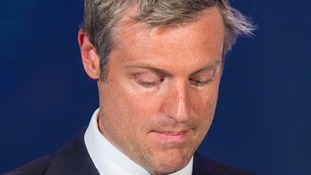 Zac Goldsmith resigns as Richmond Park MP, triggering by-election ITV London's political correspondent reports. Arsonists have been caught on CCTV camera firebombing a Chelsea mansion. Zac Goldsmith has told MPs in the House of Commons that the confirmed plans for a Heathrow expansion are 'wrong, doomed and undeliverable'. It shouldn't be a decision between expanding either Gatwick or Heathrow but both, a spokeswoman for the Association of British Travel Agents said. Victoria Bacon told ITV News: "By the time this additional runway gets built in 2025 there will be a need for more capacity so planning right now for the long term is really important. We don't think it's either or, it's both." The long-time opponent of Heathrow expansion has been given permission to publicly speak out against the Government decision. Mr Johnson said the project would cause "inevitable degradation" to the quality of life of people under the potential new flight paths. "A third runway is undeliverable," he said. "The day when the bulldozers appear is a long way off, if indeed they ever materialise."